Each year millions of people head for sunnier climates to enjoy their annual holiday. Whether travelling to Spain, Italy or Florida, no-one gives a second thought to boarding an aircraft and jetting off to all the different corners of the globe. 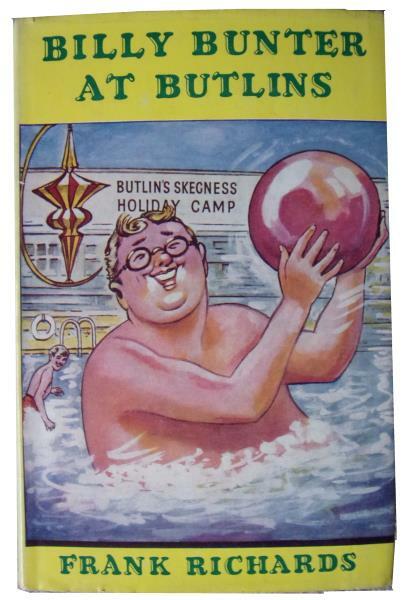 However, this wasn’t always the case as overseas travel was not necessarily an option and certainly not affordable; so holiday makers in the UK tended to pack their suitcases and enjoy a fun filled break at one of the luxurious Butlin’s British holiday camps. Billy Butlin opened the doors to the first ever Butlin’s Holiday Camp on 11th April 1936. Built in Skegness on a former turnip field, the camp originally catered for 500 holiday makers. This increased to 1,200 by the end of the first season and today the camp can accommodate almost 10,000 people. In total Billy built nine camps covering England, Scotland and Wales but today only three remain as working Butlin’s Holiday Worlds in Skegness, Bognor Regis and Minehead. With the development of the camps came an abundance of memorabilia and now anything associated with Butlins, especially the older camps, has become a vast collecting arena. Sought-after items vary from brochures, menus and leaflets to postcards, china and trophies, but it is the enamelled badges that head up this collecting area and with between 3,000 to 4,000 different ones available to collectors it is no wonder some of these badges are highly sought-after. With the development of the camps came an abundance of memorabilia and now anything associated with Butlins, especially the older camps, has become a vast collecting arena. Not only is Butlins memorabilia a large area of collecting and a huge part of our British social history. 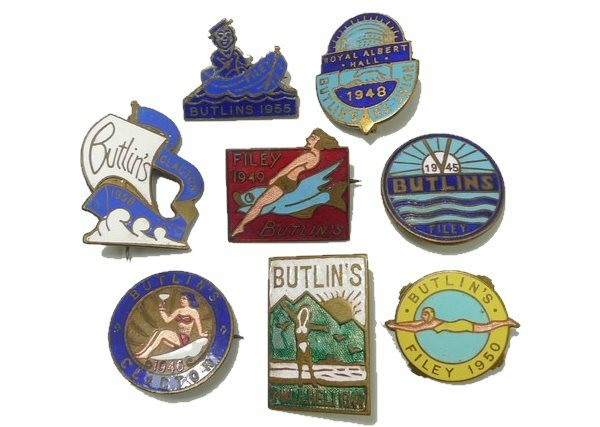 The badges became so popular that repeat visitors wore their previous ones with pride and Butlins created badges for every club imaginable. You even received a special one for staying for a second week. 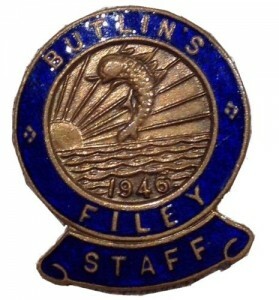 Soon, Butlins discovered that people were selling their badges to neighbours who were staying in cheap B&Bs nearby, thus using the badge to gain entry to the camp and use its facilities free. So the colour of the badge was changed several times each year and if the security man saw you trying to get into the camp wearing the wrong colour badge they would throw you out! 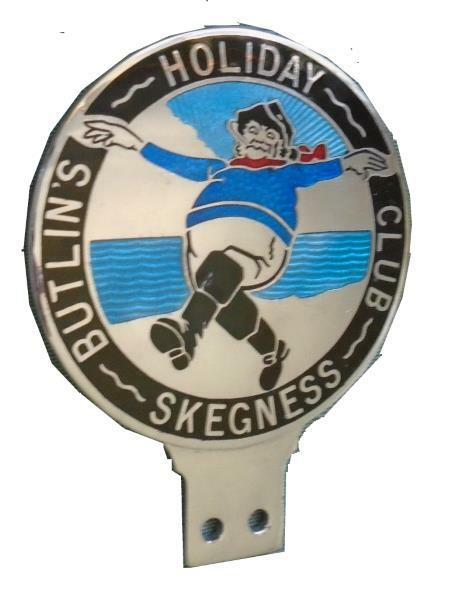 Today Butlins has recognised how collectable the early badges are and has commissioned reproductions to be made to sell in their souvenir shops. But you can tell a genuine British made badge because of the dull brass colour on the reverse and it will often have a maker’s name. The modern Chinese copies are bright gilt and textured on the reverse with a smooth shiny resin front rather than the original vitreous enamel. Masses of stuff was produced for all the different Butlin’s camps around the country and unique items such as the trophies won in competitions like ‘Miss Lovely Legs’ fetch high prices together with all the staff items. Sold for £99 on ebat July 2017. Butlins is also famously know for its red coat entertainers and Graham told me that ‘today an early red coat dating from the 1930s is so rare that it is impossible to find one but the 1940s coats can command £200 each’. 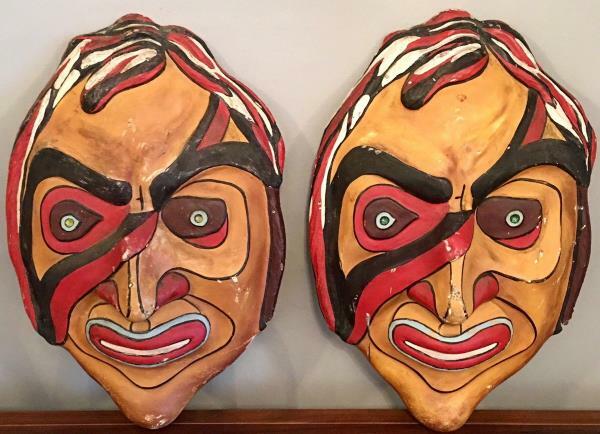 Even the more modern red coats designed by Jeff Banks between 1998-2001 can sell for £50. There is a growing market for Butlin’s vintage fixtures, fittings and salvaged items.